This special Package is provided for someone who need to visit the nice Island Tour for snorkeling plus a nice hostel to stay. But the budget must be limited on amount. The "Short Travel, but Long Happy Snorkeling tour- Coral Island Day Tour" in this Package. Half Day as Private Trip of Surrounding Beautiful Place of Phuket- Promthep Cape, Karon View Point, Big Buddha and Cashew nut Factory. 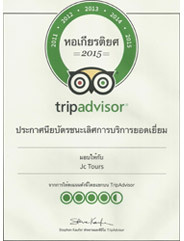 The nice hostel which located on the great peaceful area of Phuket- The Green Mangoes@Phuket, Naihan Beach Way. Round Trip Transfer from Phuket Airport- the hostel, The Green Mangoes@Phuket. Free of charge "Bicycle All the time for Local Country Road to Nai Harn Beach and Little Town - Saiyuan- Discovery. The Green Mangoes@Phuket, Saiyuan, Naiharn Beach is a very clean room hotel, The hotel is located in the middle of Saiyuan Little Town. 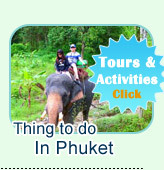 Just 10 Minutes to Nai Harn Beacn by Bike Cycling and 10 Minutes to Rawai Beach as well. Moreover, the hotel is very near surrounding by Yanui Beach (The Peaceful Beach of Phuket), Promthep Cape, Karon View Point and Lamka Beach. 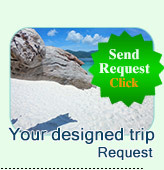 By this package, we includes one day trip to Coral Island by Speed Boat. The coral Island is the small Island located near Phuket from Rawai Beach - Short Travel, but longer happy trip of Phuket." On the Package, we includes half day Surrounding Interesting Places of Phuket: Promthep Cape, Chalong Temple, Big Buddha and Karon View Point. As well as some local people village on Rawai Beach.